In the year 2011, WITS Interactive created its first audio incorporated video ePub 'Die Feuerwehr für Entdeckerkinder' for the publishers 'Vemag'. Similarly ePubs namely, Pferde und Ponys für Endeckerkinder, Planeen und Raumfahrt, Die Dinosaurier and Der Mensch were created with analogous features. 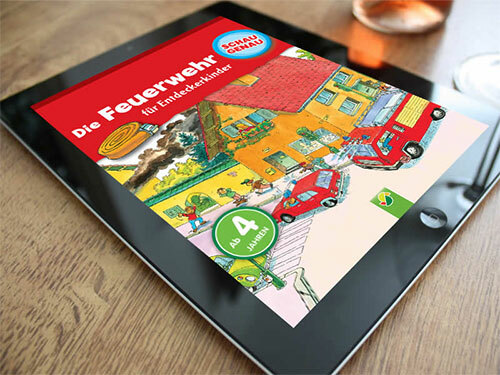 Die Feuerwehr für Entdeckerkinder is a fixed layout ePub. This ePub is created in the interest of kids. The audio incorporated manages to capture the attention of the reader which makes reading enjoyable. This ePub was one of our first creations which was very well received by our client and made us proud of the work we executed. We delivered tailor-made solutions with utmost perfection!